‘Tis the season, my friends. The eager anticipation is almost at a conclusion with opening night of the 2015 FBS football season almost upon us. The 2015 campaign opened with a bang last Saturday, as Montana scored a touchdown in the final seconds to upend four-time defending national champion North Dakota State. The Championship Subdivision set a high bar for its Bowl Subdivision counterparts with that. The FBS is already off to a great start before ever playing a game, simply by virtue of providing enough opening night action for a special, weeknight edition of the Six-Pack. For those unfamiliar, the Saturday Six-Pack presents quick previews and a prediction for six games each week I find most intriguing. Every Six-Pack also comes with an actual six-pack — or, at least, a six-pack recommendation. I’m always looking for suggestions to spotlight in the Saturday Six-Pack recommendation, so don’t be shy about shooting one my way, either in the comments section or on Twitter @CFBHuddle.com. You can also let me hear it when my predictions go awry, though I won’t attempt to hid any misfires from public eyes. I will track my Six-Pack record throughout the season, starting with this very special, opening night edition. Click the page numbers below to cycle through all six previews. The hot beer of the summer is an obvious choice to kick off a hot weekend of college football. Ballast Point’s celebrated specialty IPA comes with a hefty price tag at nearly $14, but what the hell? Opening night is a special occasion! You won’t be disappointed, either. 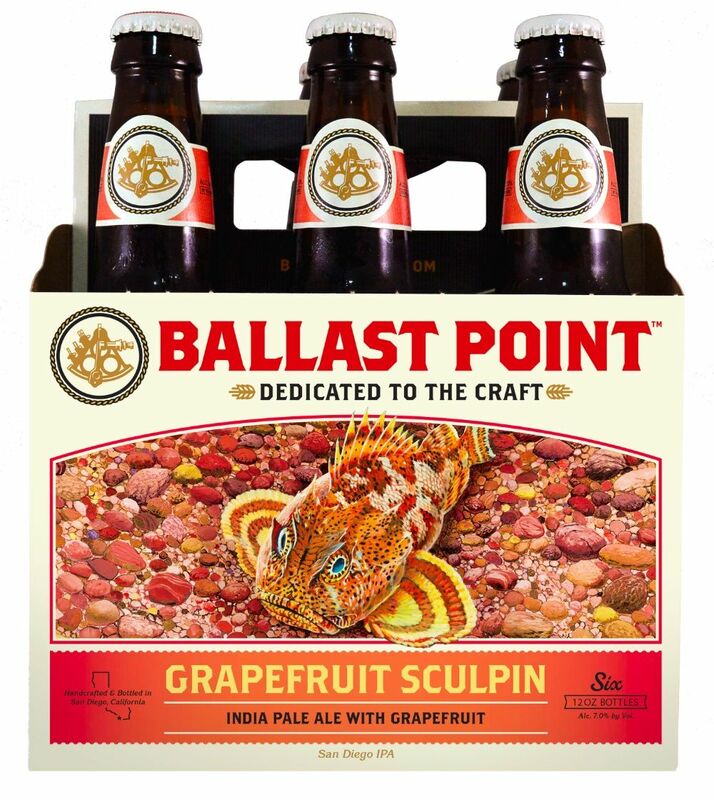 The grapefruit gives Ballast Point’s Sculpin IPA a refreshing accent without being overpowering. Given it still feels like summer — and, well, technically is still summer — Grapefruit Sculpin goes down easily in warm weather.